The specially designed low profile buckle is hard anodized with a patented system that prevents slippage even during heavy lifting. 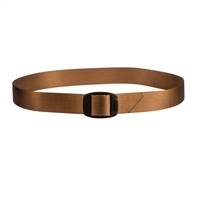 The curved design conforms to your waist with a quick release lift. 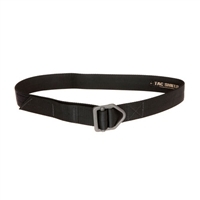 TAC SHIELD® Tactical Warrior Rigger 1 3/4" Belts are the finest in the world. Starting with double wall thick Mil-spec 7,000 pound webbing provides strong support for guns and gear.